Straight after the ESSU championships, Alan Goodall and David Owen were at Pilsen (Czech Republic) followed later by Jess Liddon. They were competing against with world class competitors including Olympic and World Cup winners from all over the world (India brought 120 competitors). First up was 10m Air Pistol with David and Alan finishing in a respectable mid-table position 60th and 65th out of 106 competitors. 50m Free Pistol was the next event for the men with David and Alan finishing 37th and 49th out of 72 including David shooting a seasons best which was 2 points short of his PB. First for Jess was 25m Pistol where she claimed 53rd out of 75 competitors. She then went on to competing in the 10m Air Pistol where she finished 58th out of 81. These team members then went on to Hannover where the Pilsen team were joined at the ISCH by Aedan Evans and Andy Ralston. Jess was shooting .22 Sport Pistol and 10m Air Pistol while the boys were shooting 50m and 10m Air Pistol. First up was Andy, Alan & David on 50m Air Pistol on Tuesday. A good performance was had by all with Andy Ralston beating his previous personal best by 6 points finishing on 510. David continued his good form shooting a solid, steady shoot, as did Alan. Jointly they set a Scottish record finishing 5th in the team competition - well done lads!! 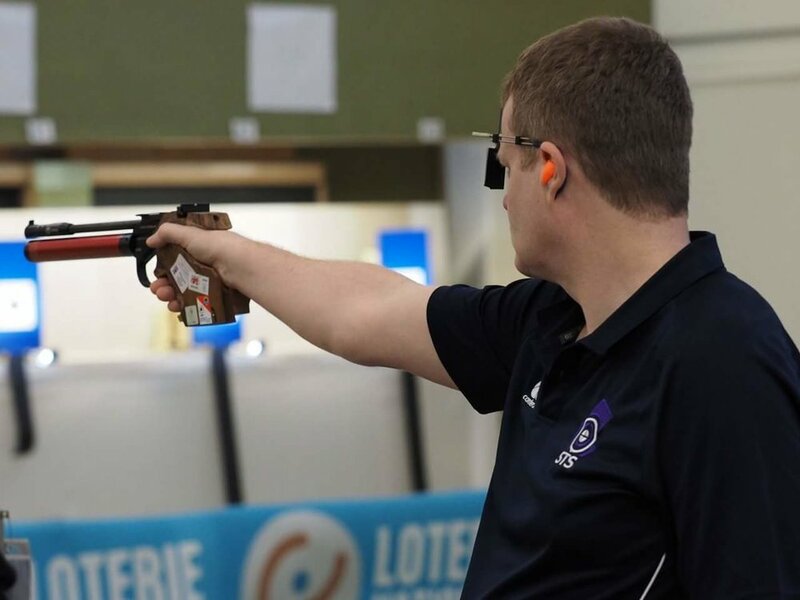 The following day saw the Senior Men in the 10m Air Pistol competition. A solid shoot by Alan gave him the highest place of the three Scottish men. A steady, consistent shoot by Andy saw the team finishing 7th place in the team’s competition. 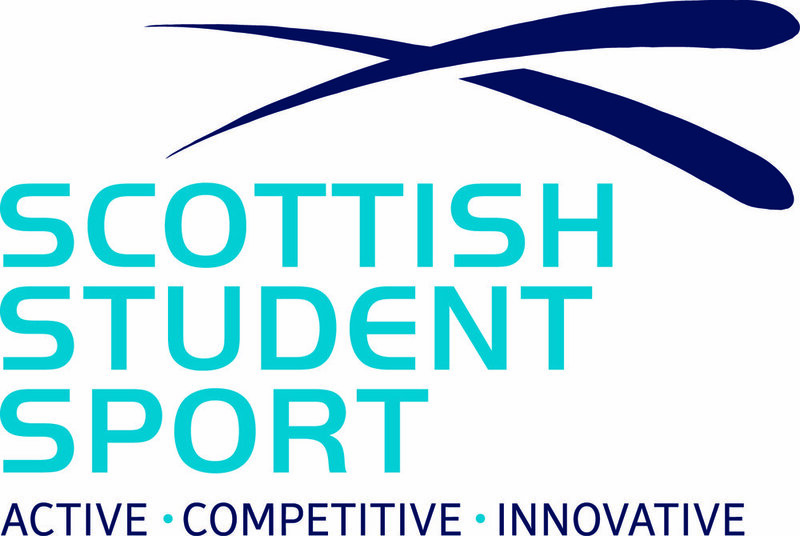 Thursday morning, when the boys were tucked up in bed, Jess Liddon was up early, flying the Scottish flag in the 10m Air Pistol for the women. A fantastic performance saw her shoot a PB of 380, finishing a strong 5th in the ladies qualifier sending her through to the final. In the final she shot very respectably and finished in 6th. The score of 380 is a Team GB & Gold Coast 2018 qualifier too! 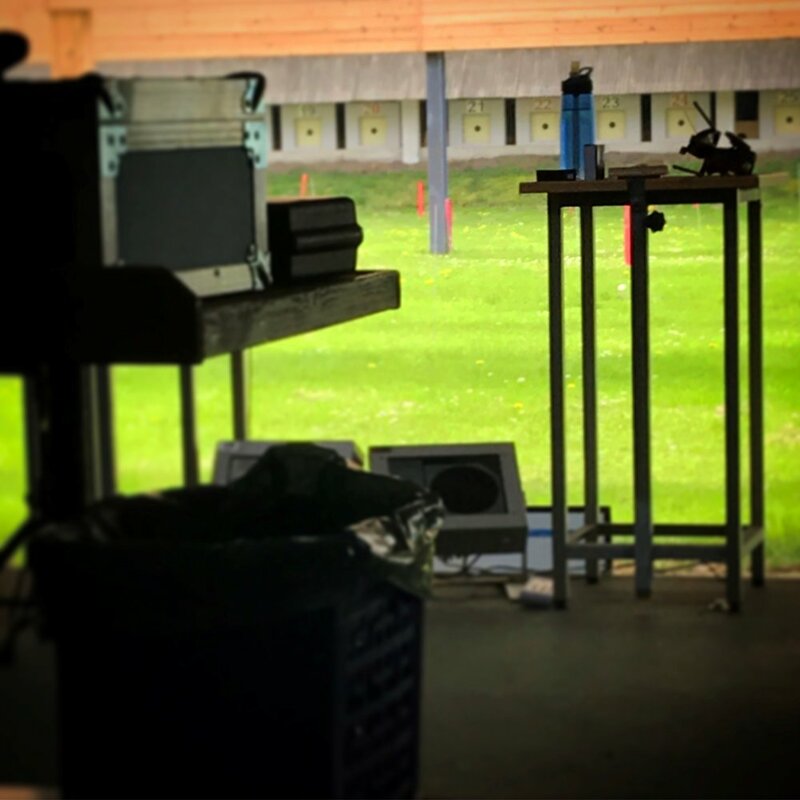 Jess was then up in the 25m range for the Sport Pistol competition and Aedan Evans was in action in the 10m Air Pistol event for the Junior Men. Jess shot well, finishing respectably in the mid-table after shooting a strong rapid stage. Meanwhile, Aedan decided to put on a show, finishing first in the qualifying stage with a monster 577 (19x), which is a personal best at this level, not to mention a Gold Coast 2018 and Senior GB qualifying score. In the final, after a difficult start, Aedan showed great determination & ability to fight back to take 4th. An absolutely awesome shoot - well done! Overall, it was a strong performance by the pistol squad in Hannover with some very encouraging results. Also, well done to the Scotland and GB rifle shooters with an absolutely awesome shoot over the week. Next up for the pistol squad is the BPC open in June as well as the Junior Worlds for Aedan & Katie Knowles - good luck to all! !